Newbies, my only dream is for all of us to learn and achieve financial freedom thru investing and trading in the stock market. Most of the brokers are giving their predictions that we could hit 7800 - 8000 range in 2015 which could give us a pretty good amount of expected gains of 14% minimum. This is prediction of experts but you are the one who will pick your stock bet for 2015. No one will press the buy button for you. Better to make your PAM move, meaning Planning, Actions and Mindset. Make your plans for 2015 or the strategy to be apply tomorrow when the market starts to tick. I believed that 2015 can bring richness of 14% but the truth it could happen this year 2014. A good example is PCKH, last week I earned a pretty good amount with this stock. I collected gains when hit my target of 82 last Friday, then bought back few shares today and sold it for 7% gains. Swing with the movement of stocks, if you are good in technical analysis then you will understand the safe entry point. 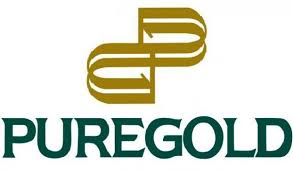 PGOLD and PCOR are stocks that could be consider for longterm due to the consumer consumption next year. Declined in earnings and the operational cost in their store opening. A good news struck this morning, Lucio Co's move to become the controlling shareholder in the Philippine Bank of Communications (PBCom) will likely boost the operations of Puregold as well as Co's other consumer businesses, an analyst from Maybank ATR Kim Eng said. I positioned yesterday believing that I have a good future with these 2 companies. DISCLAIMER : YOU HAVE THE BUY AND SELL BUTTON. ANY POTENTIAL GAINS AND LOSS WILL BE SHOULDER BY THE READERS. Hello Sir, ive found ur blog truly helpful especially for newbies like me. My COL account has just been approved and is estimated to be active by Wednesday ( funded Friday Sept 5). I would like to ask ur expert recom on what stocks to include in my first buy. Blue chips, for long term. Thanks in advance, God bless u more! How to invest in the Philippine Stock Exchange?